Editor’s Note: The author of the following article closes it with the quote shown above. This is exactly where we have been headed for so long. People talk about rapid change but we have been seeing this change for many years now – artists have been creating and experimenting with technologies for a very long time only now we are becoming more and more aware through the internet. Yes it is picking up speed and personally I would like to see it happen more and more. So today I’m not going to write a lot of thoughts about this article because it is well presented. I am however, going to encourage you to share thoughts in the comments and ask you to follow a page on Facebook called Progressive Arts – Progressive Arts is a young organisation that is evolving and we hope to create models that can be replicated in communities anywhere in the world. 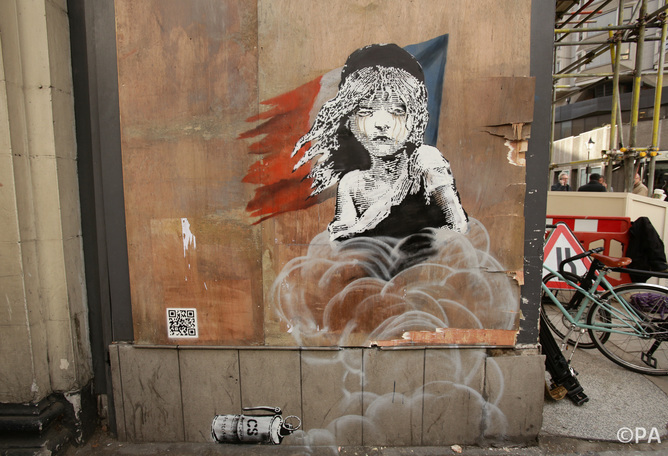 Check out our page here -> https://www.facebook.com/progressiveartsdotorg/ now to the article. 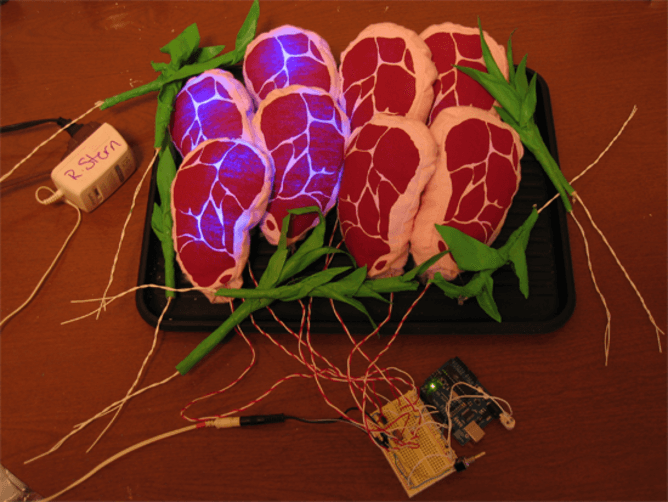 Glowing silk screen steaks, governed by an Arduino board.